Line and leader are the critical link between you and the fish. 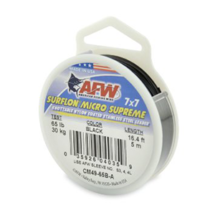 For over 28 years AFW been providing serious freshwater and saltwater anglers like you with the finest quality line, leader, and rigging products. 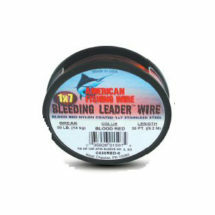 Our AFW range is the largest selection of wire line and leader products in the industry. We still produce all of our own wire, strand, and cable at our factory in the United States. 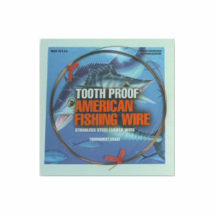 Our quality exceeds our competition and our products are proven to withstand the powerful, unsympathetic bite of toothy fish like Snoek, Shad, King Mackerel, Shark, and Wahoo. 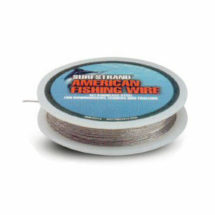 Whether you’re in a stream or on a boat, our range of wires are tailored to suit your specific needs – from the stealthy 6 lb. 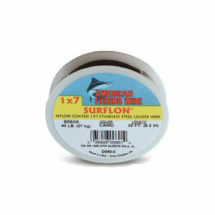 test of knottable Surflon Micro Ultra, to the whopping 900 lb. test of the mighty 49 Strand cable. 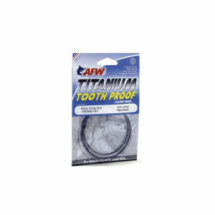 New this season, we are excited to introduce AFW Titanium Leaders. These stealthy black leaders stretch and recover on hook set and can be fished over and over without kinking . 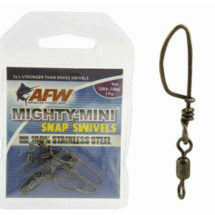 And be sure to check out our new AFW Mighty Mini 100% Stainless Steel Swivels and Snap Swivels. 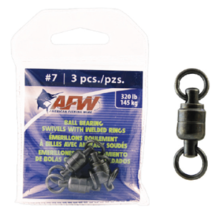 These technologically advanced swivels are smaller and 3x’s stronger than brass swivels. 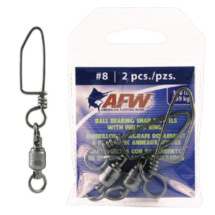 These new products are so revolutionary, they will likely change the way you fish.